The planning and buildout phase of a brewery’s lifecycle is often the most insightful time to discover the thoughtfulness that goes into bringing an idea, vision and passion to fruition. 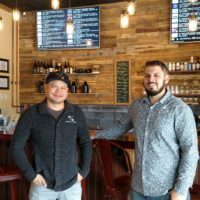 While some wrinkles have to be kept as secrets until their feasibility is proven, it is clear that the owners behind Protagonist Clubhouse – as well as Protagonist’s production facility and taproom coming to Optimist Park next year – have invested immense thought and care into elevating the communal experience of enjoying a properly presented craft beer. 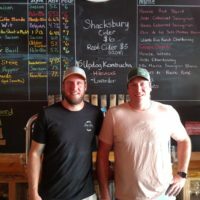 Hailing from fellow Queen City, Cincinnati, friends since childhood and owners Mike Salzarulo and Ryan Owens took a beer break to talk with QCBF about the identity and purpose of their soon-to-be-completed NoDa Clubhouse, located at 3123 N Davidson St, and vision for their production facility and taproom (the third of the three owners, Ryan McKillen, was out of town the day we met). With such a likable brewery name, we also had to know who they’d pick as their favorite fictional protagonist to inspire a beer or beer name. A grand opening date is to be announced very soon. Until then, get to know the pillars behind Protagonist. Let’s start with your brewery’s name. Webster defines Protagonist as “the principal character in a literary work, movie, book or TV show”. In terms of Protagonist’s future beer offerings, which style or ingredient do you anticipate playing the lead role? Ryan Owens: Experimental beers will absolutely play a key role at our Clubhouse location. I’d include education as a central ingredient too. Along those lines, one idea that we were just kicking around is to bring guests through ‘the history of the IPA’. Meaning our head brewer might start with a his interpretation of an American IPA and then bring you through the evolution of the style featuring a west coast IPA, New England IPA, Brut IPA and so on. Mike Salzarulo: Definitely count on experimental beers to be a feature at our NoDa location. We’ll be operating a 2-barrel system so that opens up a lot of opportunity and flexibility you wouldn’t be able to execute on a 15 or 20-barrel scale. From an identity standpoint, a protagonist is also one who looks out for the moral good of the people around him. That really hits home for us since we’re trying to be very impactful to our community. From gatherings inside our walls our hope is that individuals will then make an impact in their community. Mike Salzarulo: best buds since they were kids. With 9 breweries making their QCBF debut in 2019 – plus two breweries-in-planning serving as water sponsors – it’s clear there is room for growth in Charlotte’s brewery landscape. 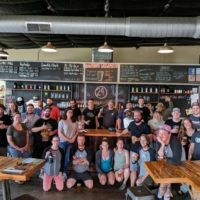 What is an area of need not yet met in Charlotte’s brewery community that Protagonist plans to fill when you welcome guests to your Clubhouse this spring? Ryan: You’re going to have a great hospitality experience at the Clubhouse, but our brainchild is also to provide guests a brewery lab or R&D environment as a place to hang out. It’s actually a concept we’ve borrowed from a brewery back home in Cincinnati we’re all fans of called Braxton Brewing. 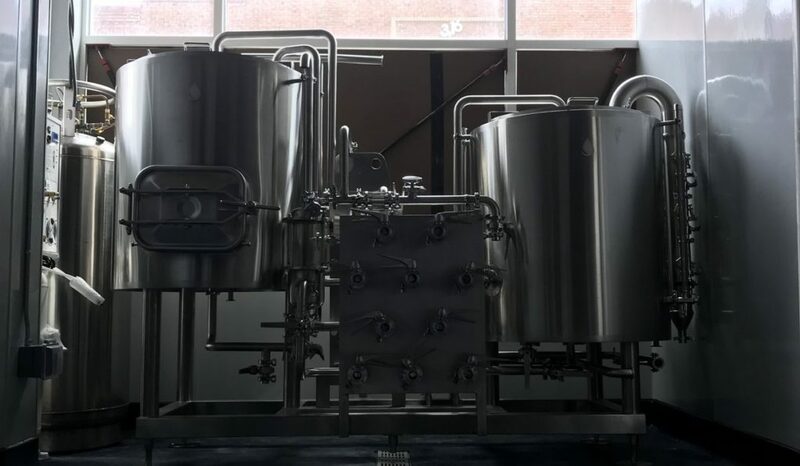 To have a customer-facing lab and be part of the beer creation process, while delivering an education-forward experience, is something we think will resonate with today’s Charlotte beer drinkers. Mike: It might only be a 1,700 sq. foot Clubhouse, but we’re able to fit 26 taps with four of those dedicated to our beers which we’ll serve directly from the tanks. The other 22 taps will be the one-offs and hard-to-find seasonal beers that Chris, our advanced Ciccerone – which there are something like only 112 in the world – will be serving from the bar. The educational experience aside, the reason we picked Clubhouse as part of the name is because, well, when we were kids if someone had their own clubhouse, that’s where you’d hang out. This is the adult version of that and we want our guests to know they can expect that clubhouse vibe whenever they visit. Protagonist’s head brewer Jeremy Claeys will operate a 2-barrel brewhouse at the Clubhouse location. Photo by Protagonist. 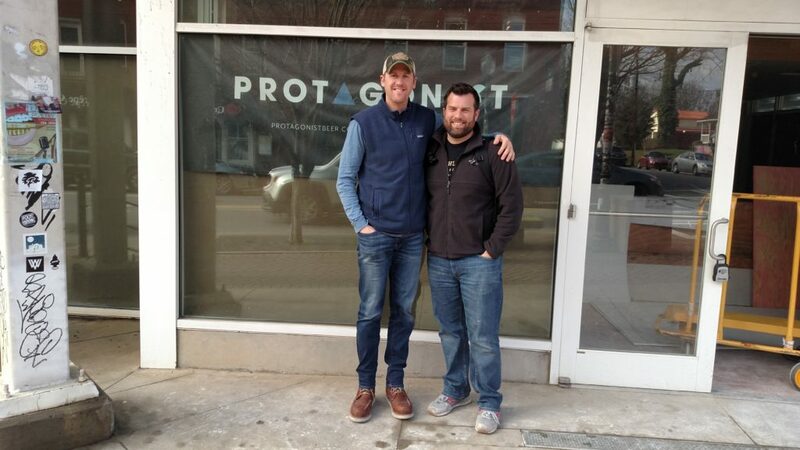 Protagonist’s founders all hail from another Queen City, Cincinnati. 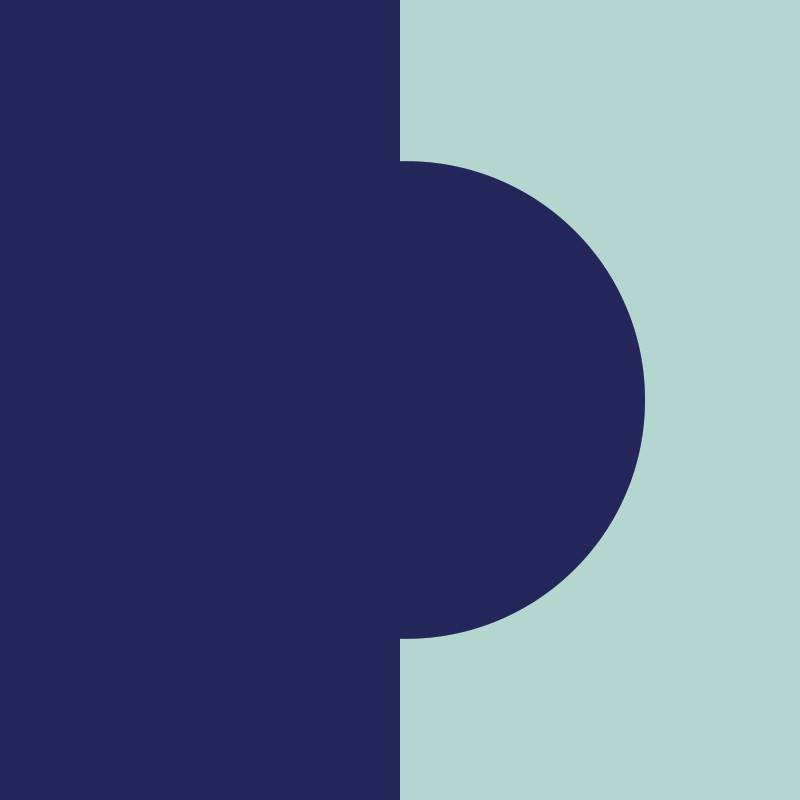 What, if any, homage will Protagonist pay to Cincy’s beer and food culture, and of course we’d like to know: has there been any chatter about a QCxQC collaboration beer with a brewery you guys identify with? 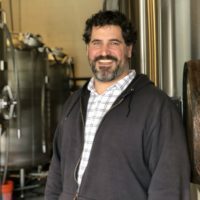 Mike: We definitely want to have some nods when it comes to Cincy beer, considering its rich, German-influenced brewery history, but it won’t totally define who we are. There are a bunch of staple brands from Cincinnati, Graeter’s Ice Cream being one of them. To have a beer float – to go along with the beer-based cocktails we’ll have on tap – paired with a nice porter and Graeter’s Ice Cream would be a cool way to pay homage to our hometown. And it’d be a pretty tasty after-dinner dessert [laughs]. Ryan: If there were a collab wish list, I’d have Braxton, Rhinegeist and MadTree at the top. They’re all places we love and have hung out at over the years. 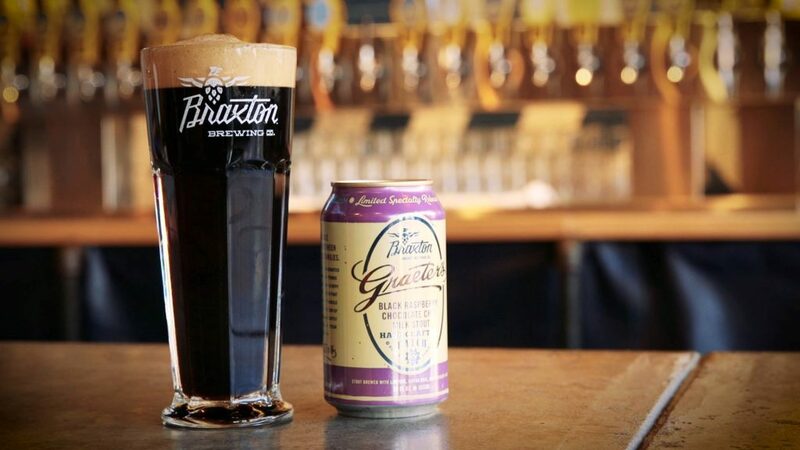 Braxton Brewing’s Black Raspberry Chocolate Chip Milk Stout made with Cincy’s own Graeter’s Ice Cream. Photo by Braxton Brewing. Not only will you be opening an intimate Clubhouse location in NoDa in the coming months, your second project, a production brewery in the emerging Optimist Park area, is slated for a 2020 opening. Tell us the vision for that facility from a barrel-production, packaging, distribution and taproom standpoint. Ryan: It’ll be taproom-focused first and foremost. I’ll never say never, but as far as distro is concerned, it’ll be limited at most. We’re really focused on the beer’s presentation: from serving temperature to proper glassware and things like the correct blend of CO2 or nitrogen. You can expect a good amount of bottle-conditioning, specifically Belgian-style beers, since our head brewer’s family origin is Belgian. Mike: The building itself has a bunch of cool spaces to commune: the taproom of course, rooftop deck and some very, very unique hangout spots we’re not ready to share just yet. In terms of the brewhouse, we’re deciding between a 15 and 20-barrel system. Bonus question: If you could create a beer with a favorite protagonist from an 80’s or 90’s era film, who would it be? Mike: When I think of a Protagonist, for some reason, it’s Sherlock Holmes. He’s someone who’s quirky and a little weird – like all of us, right? But he’s always looking out for the moral good of the people around him. Ryan: Well, Maverick is the main protagonist and Goose is the supporting protagonist so I could see a bold Double IPA and smooth Session IPA coming out of a brew session with those legends. Ryan and Mike answering for Ryan McKillen: He’s such a smart dude and always has a book in his hands so I’m sure it’d be a literary character. Believe it or not, he writes book reports for everything he reads [laughs]. Jeremy Claeys, head brewer (in a separate conversation): Nada (actor Roddy Piper) from ‘They Live’. He’s a different kind of protagonist, that’s for sure, and I’ve always loved this classic B-movie.